Shaare Emeth’s youth programming provides our youth with opportunities to engage in Jewish life at Shaare Emeth and in the broader Jewish community. Our program combines community building and Jewish experiences that deepen teens’ connections to Jewish tradition and to one another. Social events, social action, learning, and Jewish observance provide teens with a range of different ways to connect with Jewish life on their terms surrounded by a caring community of their peers. SETYG (Shaare Emeth Temple Youth Group) is Shaare Emeth’s youth group of high school students. Run by an elected board, SETYG hosts Wednesday Lounge Nights twice a month from 7-9 p.m. and monthly weekend programs such as a Mizzou game, Mystery Bus Rush and a social action overnight. SETYG also serves as Shaare Emeth’s connection to Jewish teens from across the country through NFTY. NFTY (North American Federation of Temple Youth) is the Reform Jewish youth movement. Our teens convene throughout the year for chavurot, weekend long gatherings of NFTY’s Missouri Valley Region (NFTY-MV). These conventions provide our teens with the opportunity to develop leadership skills, explore their Jewish identity and connect with teens from across the Midwest. NFTY 678 is Shaare Emeth’s youth program for grades 6, 7 & 8. We partner with other St. Louis Reform congregations to organize events throughout the year, such as Cardinals games, tubing at Hidden Valley Teens and a progressive dinner. NFTY 678 events are open to all Jewish middle schoolers and are sponsored by Shaare Emeth, United Hebrew, Temple Emanuel, Temple Israel, CRC & NFTY. SE 45 is Shaare Emeth’s youth program for grades 4 & 5. 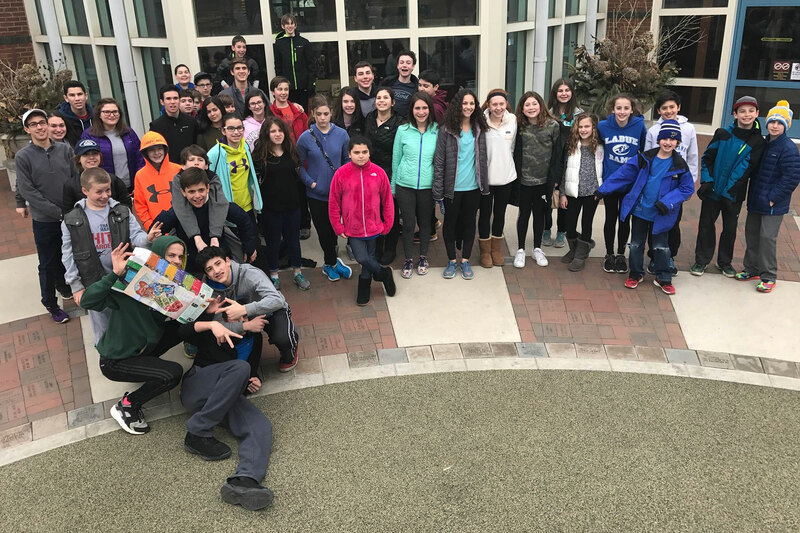 SE 45 hosts community building events on Sunday afternoon following religious school several times a year to deep the social connections within our Shaare Emeth community.